I read the email from Vicki Tracy four times before I understood the significance of it. She was asking me if I wanted to be a judge for her latest benefit, Naples’ Dancing with the Stars, where a cast of local celebrities would put on their dancing shoes to raise money for the Naples Performing Arts Center (NPAC) in a competition-style event where the star to raise the most philanthropic funds and the star to receive the highest marks from the judges would leave the dance floor with bragging rights and a star trophy. Help raise funds for the local not-for-profit? Encourage children to get out there and learn how to express themselves on the dance floor or the theater stage? Funds raised support scholarships. Scholarships allow all children to be welcomed into this performing arts center and exposed to these opportunities to grow creatively. Growing creatively teaches children how to think, how to communicate, and how to explore competition in a positive environment. Yes, there may be only one winner, but everyone who participates is a star. 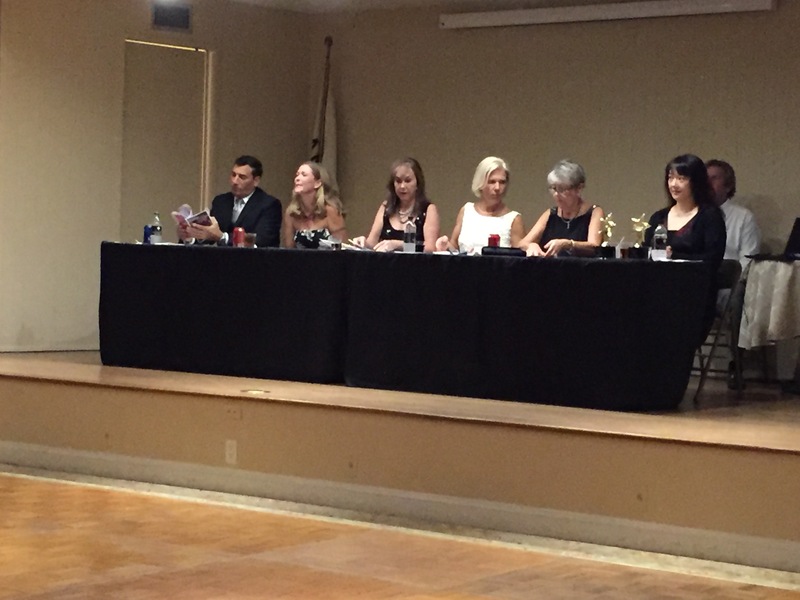 …and because I said yes, I was honored to blog about the stars, to glimpse sneak peeks of their rehearsals and their costumes, and to be one of six judges for the Naples’ Dancing with the Stars benefit held at the Naples Woman’s Center on Saturday, November 12, 2016. Months in advance the ten stars rehearsed with Lori Oliver and their professional dance instructors, Johnny and Lisa PerMar. They had spotlights created about them in order to sway pre-event voters to contribute to their campaign. After all, one star would win the philanthropic trophy for earning raising the most votes money. It was fabulous! As always, my hubby blew me away in his suit and his smile! Ten stars stepped out onto the dance floor: Ike Alma-Francis, Amanda Beights, Guy Blanchette, Kathy Curatolo, Dr. Debi Lux, Sean Lux, Andres Paz, Scott Sherman, Ann Marie Shimer, and Vicki Tracy. The judges were: Melissa Blazier, Joanne Blanchette, Marisa Cleveland (me! ), Marcia Entner, Robin Lankton, and Rick LoCastro. I watched the choreography, evaluated the technique in my head, enjoyed the musicality… but most of all, I saw the whole story. Ten community leaders hoping to shed light on the need for supporting the performing arts. Two of the ten stars went home with star trophies: Scott Sherman and Vicki Tracy. Both tied for Judges Choice, with straight tens from all the judges. Scott Sherman had some very serious footwork in his choreography, and he danced it just beautifully. More than that, his dance told a poignant story with a surprise guest appearance with his daughter Shea, and the two of them just caught my heart. From Vicki Tracy’s long-flowing gown to that gravity-defying dip, she had me mesmerized. Her energy and joy on the dance floor had me swaying with the music, and for a few short minutes, I lived vicariously through her, as she spun around on strappy heels. That’s what makes events like Naples’ Dancing with the Stars so significant. Because it allows Lori to expand on her vision through community-involved families looking to make a difference in the lives of our area’s children. I had the opportunity to meet so many amazingly positive and generous people! Check out some fun pics from the evening!